Nadia is a Senior Clinical Dietitian with a Bachelor Degree of Dietetics from the University of Pretoria in South Africa. She is a health and food enthusiast with a love for healthy, exciting and tasty food that not only pleases the taste-buds but also fuels the body with the nutrients it needs! She loves cooking, baking and experimenting with new recipes and prides herself in providing healthy and delicious food to her friends and family. Nadia is specialized in Sports Nutrition, Digestive Health, Women and Child Nutrition. 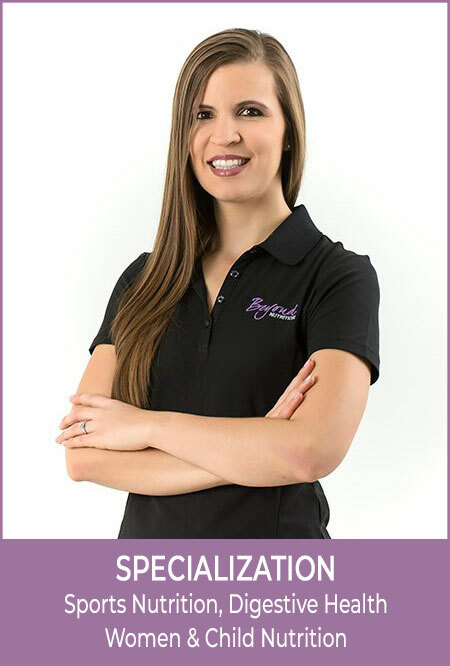 As a Dietitian, she works with a variety of different people including those suffering from various illnesses, children of all ages, pregnant ladies, athletes and many more. She believes that food is the best medicine and always enjoys helping her clients understand what it means to eat healthy and be healthy. Being a food and health enthusiast, Nadia believes that life is all about balance and the key to real health doesn’t mean hitting a specific number on the scale but instead, loving yourself, building a positive relationship with food and making food choices to nourish the body instead of starving it! She integrates her dietetic knowledge into her consultations to provide clients with the guidance they need to improve their health in a fun, rewarding and sustainable way. Throughout the week Nadia enjoys spending time outdoors being active. She has always loved playing team sports too and has coached both soccer and volleyball. She enjoys running, hiking, and the occasional fun game of tennis.